It’s official, the government has spent the entire HUF 3 TRILLION (USD 11 billion) it confiscated from the private pension funds of some 3 million Hungarians in 2011. According to RTL Klub, roughly 100,000 Hungarians opted to keep their private pension funds despite threats from the Hungarian government that failure to turn over their savings to the government would disqualify them from receiving state pensions. The so-called “second pillar pension scheme” was introduced in 1998. Economists tell the Beacon that it was considered one of Hungary’s first big steps toward the market economy as it involved citizens taking responsibility for their own retirement rather than entrusting it exclusively to the government. The nationalization of the private pensions took place between 2010 and 2011. Eager to raise money to plug gaping holes in the national budget, Hungary’s government claimed the funds were at risk of being lost due to unscrupulous private funds. 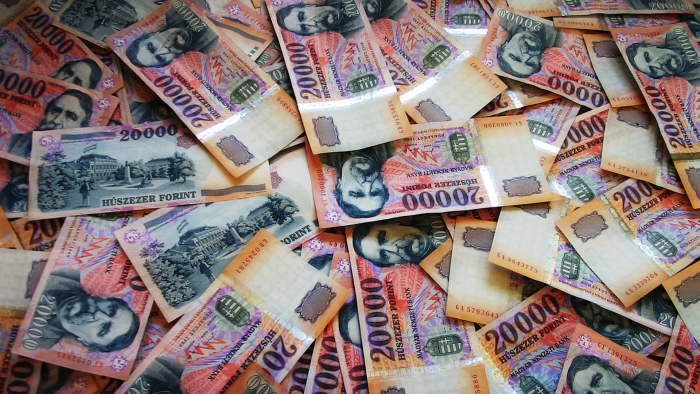 They also added that the money could be used to help Hungary pay down some of its public debt. Five years and HUF 3 trillion later, the national debt as a percentage of GDP is just as high. Once the nationalization was complete, the government deposited the funds into a so-called “Pension Reform and Debt Reduction Fund”. The name turned out to be misleading, as many of the funds were used to plug spending gaps. Despite stripping 3 million Hungarians of the private pension savings in the name of “pension reform” and “debt reduction”, Hungary’s debt has stubbornly remained at around 80 percent for the last five years. When appropriating private pension savings in 2011, the government promised the 3 million citizens would continue to have access to the funds within the state’s pension system. “Those who go from the private pension system to the state’s pension system will continue to have an individual account,” Prime Minister Viktor Orbán said in December 2010. But Minister for National Economy Mihály Varga subsequently announced that nobody would receive any credit within the state pension system for private retirement savings confiscated in 2011. Four private pension funds remained in Hungary following the nationalization and the size of the funds has continued to grow since the nationalizations took place in 2011. Earlier this week Fidesz MP István Kallai, who is to run the new secretariat at the Ministry for National Economy responsible for overseeing the National Tax and Customs Administration (NAV), claimed the private pension funds had been mismanaged. However, according to bankmonitor.hu, the private pension funds have been able to achieve an average rate of return of 7 percent over the last year alone.